To me my scar is part of me, it doesn’t bother me, embarrass me and its not something I’m particularly self conscious about – I VERY rarely put make up on it ( which probably doesn’t help the amount of people who ask me what it is every day!) …but everyone with a scar will relate to this….the itching, tight and nerve pain that comes with it! 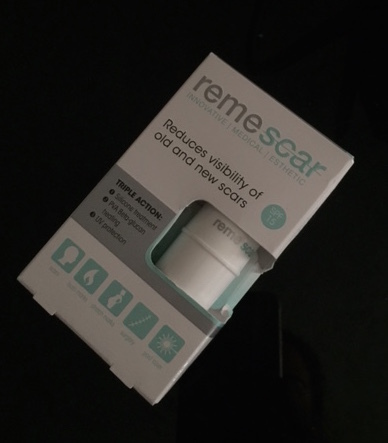 – Recently my scar has been feeling really uncomfortable, especially at night so I’ve been searching for something to improve it! 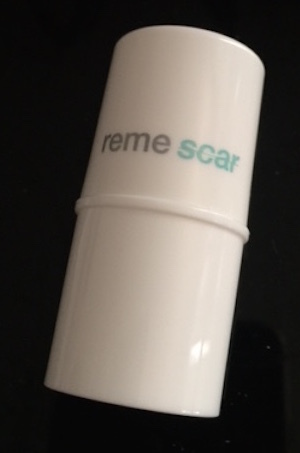 Enter the Remescar silicone scar stick! 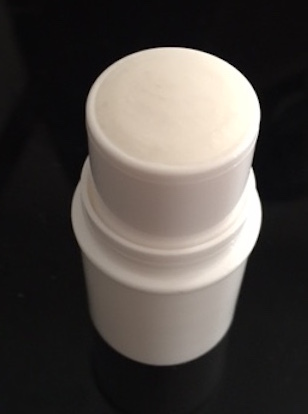 – When I received this my first impressions was the size – However this tiny stick has contained more than enough for my initial 2 month supply – I still have a fair amount left and I’ve been using it day and night. Having previously tried silicone strips, and not getting on to them due to the location of my scar ( the strips have to be held tightly and pressured to the scar) I was so exited to try this! 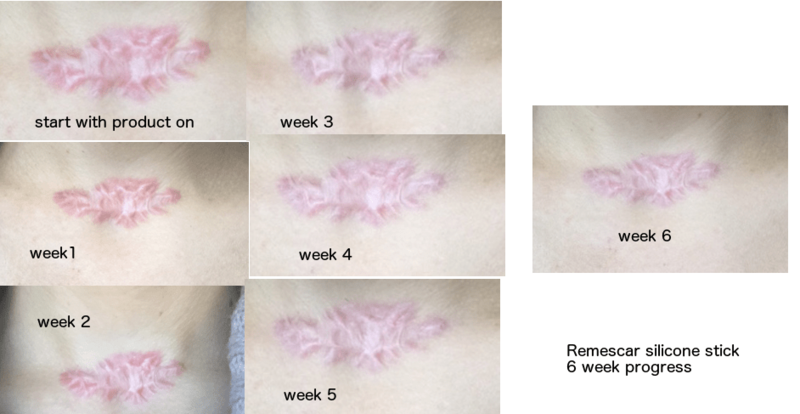 Created by skincare experts and scientists in Belgium, its clinically proven to support the healing process of new AND OLD scars! Hooray! What I like about this product is its invisible, its not shiney, greasy, coloured or textured and it can also be worn under make up if need be! So how did I get on; theres a few things to note before you see the results so far…. My scar is surgical which means the scar is literally from one side of my skin to the other, aside from that – I’m also, as my consultant told me, an ‘aggressive scarrer’. This means that a product has to work extra hard for it to make an impact. Its important to also take into account my scarring is around 4 years old now. Ive been using this product day and night for 6 weeks – I have noticed a difference in size, colour and flatness ( I even had somebody say it looks ‘less red!’) and with continued use I’m sure this will improve further. Aside from aesthetics, I would like to point out the UNBELIEVABLE affect it has on the uncomfortableness of my scar (which is my main issue!) As soon as I felt itching, burning or nerve pain I reached for this to reapply and it quenched the feeling like nothing else I’ve used before! So enough of my talking, here is some before and after photos as my Remescar journey went on; I will update you with further weeks progress..